In the event of relationship breakdown, providing security and stability for the children in a situation where the living arrangements and dynamics of the family have changed can be the main priority and emotions can often run high. We would all like to think that in this situation we would be able to decide what is best for our children without the need to involve solicitors or the court but in some situations, this can prove difficult, particularly where there are difficulties or a lack of communication between the parents. In situations where parents are unable to agree over arrangements for children our Family Law solicitors can help you decide on the best course of action with the emphasis always being to focus on your child’s/children’s needs and how best to preserve future family relations. In many cases we can assist clients to reach agreement through negotiations and /or mediation and that is always our preferred approach where possible. However in some cases this will not be realistic or possible and court intervention will be required to achieve an outcome. We can help you with the process of making an application for a Child Arrangement Order(s) (formerly known as Residence or Contact)or represent you if you find yourself on the receiving end of one of these applications. Child Arrangement orders can regulate with whom a child should spend time and with whom a child shall live. 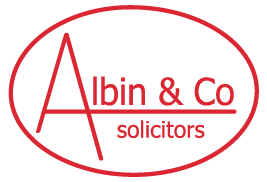 Our involvement and support can prove invaluable in terms of finding early solutions during this kind of litigation thus avoiding lengthy and invariably costly proceedings which can potentially be very damaging to future family relations. The court can also make orders prohibiting a parent from exercising a particular aspect of his/her parental responsibility (prohibited steps orders) if it is in a child’s best interests to do so or on specific issues such as the choice of a child’s surname or his/her religion or education. Again we can offer you the benefit of our experience in respect of such matters. In the event that the Local Authority has intervened in your family due to concerns for your child/children’s’ welfare we can assist in terms of offering advice and assistance at the pre proceedings stage including attendance at Public Law Outline meetings and representing you in any court proceedings that the Local Authority may commence. In such situations, representation is free to parents. Solicitor’s representation is funded by the Legal Aid Agency on a non means and non merits tested basis. Finally we can act for you in relation to adoption and applications for Special Guardianship Orders.